This is where it starts: falling in love with a dance and wanting to do something about it. Talk as many people as you can: People who have started communities, teachers, promoters, other dancers, local businesses. Envision what you would like to see in your community and your place in it. Often times these bullet points happen in conjunction with each other but I'm highlighting them because its important for you to really understand the extent to which you're willing to build something. Some people start small, some people go big, everyone's different. Me - I was somewhere in between. I started with a small group and then starting thinking bigger and bigger as I experienced more and more success. This one is obvious but really important because its about falling in love: which isn't dipping your toe in the waters or waiting to see what happens. Its "Truly, Madly, Deeply" falling in love. Sure, you can start something even if you're not TOTALLY in love with the dance but you'll find that if you want to do anything sustainable, then you gotta just fall into it (or at least find someone who is who can work with you). For myself, I dance a lot of different partner dances and when I encountered Kizomba, the music and the connection in the dance just took me. Every dance that I love has a connection that I enjoy but this dance just felt so natural and comforting. The quote that I posted on the top of this blog really does express how I feel about the dance. Love doesn't mean you're an expert. Love just means that this is something that you want to invest in and have it be a part of your life. If you just want to enjoy it, then perhaps building a community isn't something you want to start doing just yet. Love also implies commitment, patience and a leap of faith because things do take some time to unfold. Learning the dance isn't just about the movement but also the music and the culture. You also don't have to be the expert unless you plan to teach it. DO find the right teacher and find people that you can share the learning with if possible. I was very lucky to have access to someone locally who grew up with the dance and wanted to share her knowledge and had very similar dreams of spreading kizomba. I was also tied in to other dance communities and had good friends in those communities who I knew would also fall in love with the dance. In my case, I found a group of 8 people and for about a year, we met every week for 2+ hours to dance and share what we knew about the dance from youtube and other instructors we met on our travels. 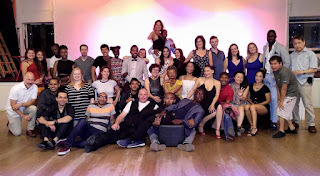 It was my Kizomba incubator and while all of these people are not as active as they used to be, they all became staunch supporters and advocates for the dance when I started to create a community around it. Starting dance communities isn't an original idea because there are dance communities everywhere so why reinvent the wheel? Dance is not something to keep to yourself because its something that you find joy in with someone else or by sharing it. It will come as no surprise that people who are active or have stature in their communities will be happy to share their stories with you. If not, no big deal, move on and talk to someone else. Don't limit yourself to the dance you specifically want to spread, talk to members of other dance communities and get their perspective on how their dance has grown. Why talk to people? Well, unless you already have experience starting a dance community, then you need to build that experience somehow, or at least get more data on experiences of others and get fuel for your own ideas. In this mode you are like an investigative reporter or a researcher. Start anywhere: talk to the dancers, talk to the teachers, talk to the DJ's, talk to the promoters, talk to the club and studio owners. As you start to talk to people, you'll hear their side of how things unfolded and you'll find out who the reliable sources are and who the ego-driven sources are and you'll be able to get what you need which is a sense for how other folks got things started and what to expect. What's the goal for talking to people? To get information and help you figure out what it is you want to do. Understand the scene you're in because each scene is different. Don't shortcut the step and keep your goals reasonable. 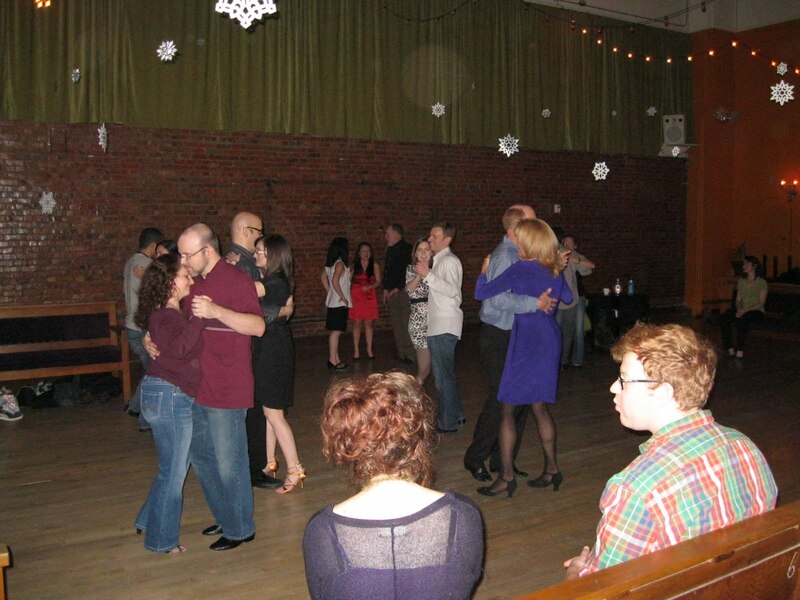 I didn't start out by saying "I want to create a Kizomba Community here in Seattle." There are lots of tools to help you with setting goals and having a vision. They don't have to be grand, just something to start and keep asking: "What do I want?" and "Wouldn't it be awesome if.... " and "who do I want to be?" I think its sometimes easier to give examples rather than to explain how so I'll share how I got started. I want to have more people to dance with. I want to get better at the dance. I want to teach other people about the dance as a way to hook the into dancing. Wanting to get better drove me to bring instructors to Seattle that I wanted to learn from and opening that up to the other people in the community that were hungry to learn. This also unexpectedly made me a promoter or event organizer as well as teacher. It also created opportunities for people to learn and come together to dance. I didn't want to be the one responsible for doing all of these things and some of what I wished for was to have other members of the community get involved with these events. I looked for people who would also want to help and keep that spirit alive so that the community could sustain and feed itself. In all the roles that I have, I have not been most vocal about being a community leader because I am very sensitive about acknowledging everyone's contributions and grew up with a culture that one does not announce one's own accomplishments. So, its important for me to recognize contributions and for others to do the same. I am very happy to have a community I can be a part of that shares the love of the dance, has a thirst for knowledge, embodies a sense of family and mutual respect and welcomes new people. 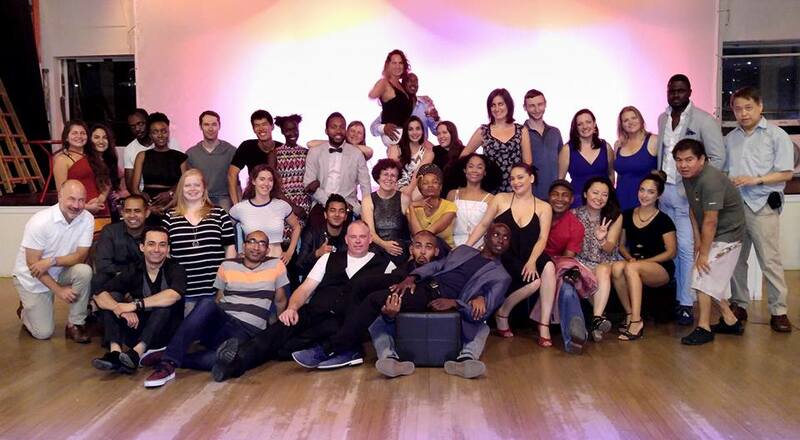 I am very happy to have been instrumental in helping others get their start in their own journey to share Kizomba. If you are starting a community, then your way of operating and your personal values will inevitably bleed into the community that you create and how you operate. Don't try to set too many rules and let you actions set an example instead. A friend and mentor once told me to remember to remain true to who I am and what I want to represent and not get dragged into other people's realities and baggage. Another mentor also said to make sure to understand the value that I bring and the role that I play in the interactions I have with the different people I come in contact with. This is helps you to focus on your role and goals as you move forward and it will also attract to you, people who have similar values. On your path to building community, you will no doubt encounter people of all kinds. Some who think just like you and some who don't. I've encountered some pretty crazy behavior when I least expected it and some hurt that has taken time to heal. I've had this conversation many times over with different people who have wanted to introduce Kizomba into their communities. I figured, why not share my story and step by step plan. I'm starting with and overview and will elaborate on each stage separately. In this step by step plan, there is room for interpretation and adaptation. I do not say this to "hedge my bets" or sound wish-washy. Often when I read a step by step plan, I realize that there are things that might be missing or different for me because of my circumstances. My experience as a project manager has taught me this truth: changes in the plan are ALWAYS inevitable. Think about it, in a venture like this one as you are also learning and growing, how could there not be changes? What's important is having a plan that allows for the changes and adaptations. The plan should also point out unknowns and risks so that you can tackle them as you see fit. Part of the change that the goals you set will also change as results and events unfold. Make sure to check-in with yourself from time to time because its easy to forget who you are and what you want out of your venture into starting a dance community. Getting the dance and music out there: showing off what the dance is like and getting more people interested. 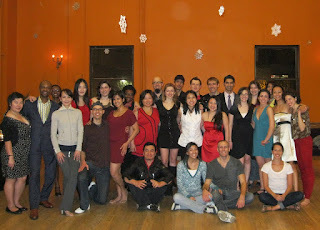 I remember the very 1st Kizomba dance I ran at the Century Ballroom in the winter of 2011. 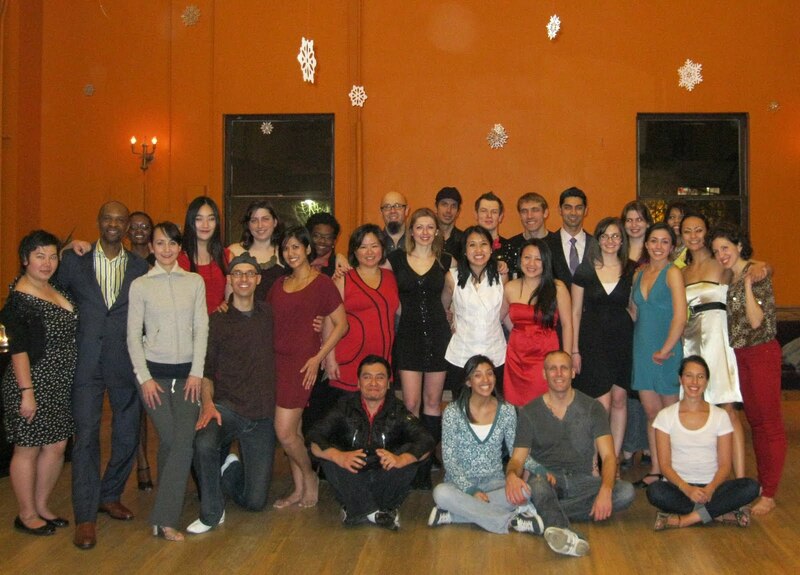 It was an experiment to see how many people would actually come to a Kizomba party. Jay and I were just starting to teach classes (back when Halo was still open) and in order to give our students time to dance, we had a with a short practice hour after class. There was no regular social for Kizomba though there were attempts at a monthly gathering in local club/restaurants where possible. Hallie and Alison suggested that I try hosting a dance just to see who would come. It was a little nerve wracking, hosting my first social. Luckily, things fell into place: Maurycy very kindly volunteer to DJ for the night and I knew at the very least, my group of fellow Kizomba crazies were ready to come and dance and help me at the door. They all helped with details I couldn't even think of: change box with change, stamp, etc. I can't remember what I charged for the door (maybe $5?) but at the end of the night, I officially made $1 after paying back the rental for the room. 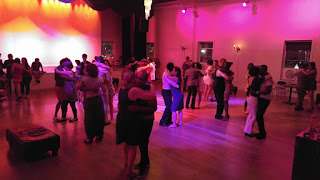 So exciting and nerve wracking and somehow, it was decided that the Century Ballroom would host a Kizomba Dance on the 1st Friday of every month starting February 2012. I was a little nervous that night but I should have known that things would work themselves out. That first night was a total success: all our students came out, lots of friends and supporters and fellow other dance dancers came as well. All in all a successful kickoff. The picture above shows the dancers that remained through the last dance that night. While most people in the picture have moved out of Seattle or just moved on to other things in their life, I think you'll recognize a few faces that are out there still dancing what they love. There's a great energy that comes with being there first, to set the trail and start something new. I am lucky enough to have experienced that with a great set of friends. Back then 20 people in the dance was a great turnout and it didn't matter that you just danced with the same people over and over all night long. I also relied a lot on this small group of people that fell in the love with the dance along with me. I believed that if I could just show people the dance, they too would fall in love and keep coming back. Our DJ's gave their time freely once a month on a Friday night to make sure there was music to dance to. The dancers were just excited to be there and when I started teaching the drop-in lessons, it was never an empty class. Fast forward to 2016 and we now have an average of 60 at the 1st Friday dance (with the highest number of attendees at 102). There is a Kizomba dance at least once a week. There are 3 studios regularly offering Kizomba classes and 2 others hosting regular Kizomba nights. Monday Night Practica started in 2012 with less than 10 people and is now regularly attended by well over 20 people. This community-run weekly gathering has changed hands and locations many times over the years and has drawn in many new members. DJ's are now paid for their time and even though the number of students for the weekly classes aren't always high, I am still able to teach this dance that I love to help others fall in love with it too. Many of you who know me know that Kizomba is not the only dance that I love: I also dance bachata and salsa and when I can, dabble in tango, swing and blues/fusion. All these dance communities have great people that have enriched my life. I love to dance. I am proud to say that this Kizomba First Friday night, holds a special place for me because of the wonderful energy that is generates. I suppose its like watching your baby grow up but more than that, unlike any other night (and I could be a little biased), the energy in the room when you walk in the door to dance is always rich with warmth and still remains friendly and inviting with that tinge of that excitement to just make you want to dance. I love taking breaks from dancing up in the DJ booth: it gives me the chance to watch the room, talk to the DJ, take some pictures and just soak in the energy on the floor. Last night was no exception. I took pictures during the middle of the night and at the end and as you can see, the number of people did not dwindle at all. While I miss that first generation of dancers and the excitement of meeting them at this social once a month, the dance itself has never failed to life my spirits and make me smile. 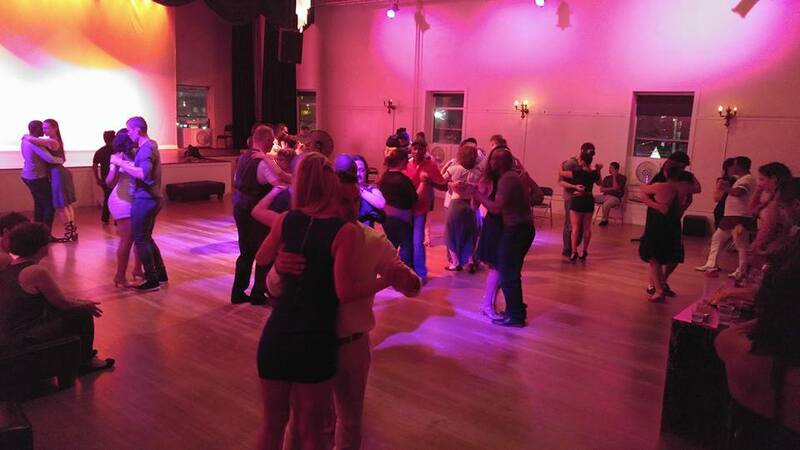 The Kizomba Seattle community has grown and somehow, it feels like everyone gives their best energy to keep things alive and well. Not only have we all grown as dancers, there are so many other activities and outings that have been spawned from the friendships created within. The DJ's that have also grown over the years and many of them now play their own gigs and continue to hone their craft. I think its great that the community has always understood that and let the love of the dance override the occasional bumps on the road. Every single one of the instructors and artists that have stopped by Seattle to teach and share Kizomba have said that this family we have is one of a kind and embodies the true spirit of the dance. It is a blessing that I hope will never go away. The 1st Friday Kizomba nights at the Century Ballroom have always had a great energy to them that I never tire off and am always grateful for. August yo! Here's what's up!! Its been a pretty mild summer so far and now we're officially in the best time of year to be in Seattle. Make sure you spend a few minutes everyday enjoying the sunshine and don't forget come out and dance. * Kizomba Lab Aug 11 - Sep 1 with Frances, Jay register at www.centuryballroom.com - CANCELLED September session will be Kizomba 1.